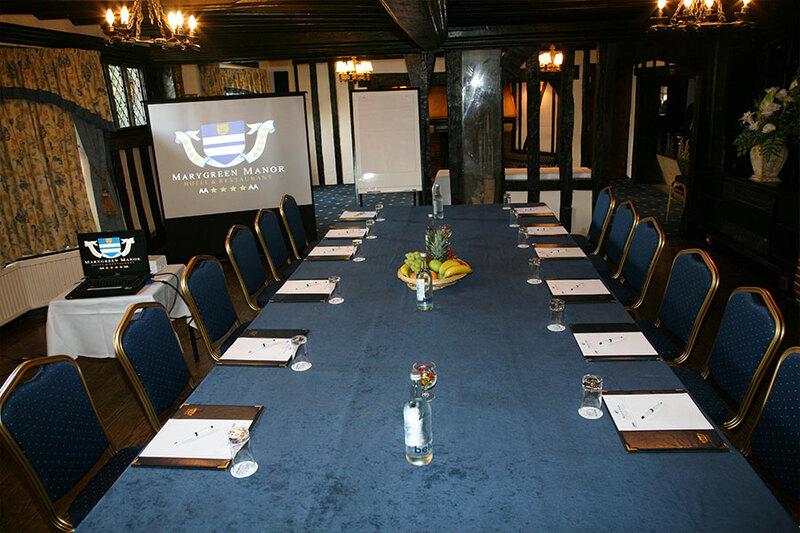 ​Marygreen Manor has a range of conference rooms available suitable for boardroom meetings, presentations, training, interview & selection and product launches. A range of extremely competitive delegate packages are available to suit every budget. Choose from our Daily Delegate and 24hour packages or for a tailor made event talk to us about our bespoke options of Brentwood meeting rooms. 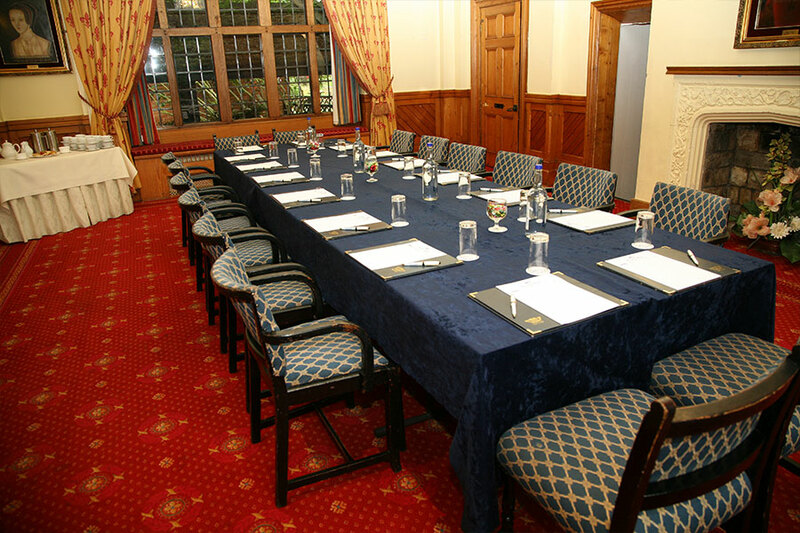 Once the library, The Anne Boleyn Room is an attractive room with high ceilings, good natural light and en suite cloakroom facilities, with a maximum capacity of 10 delegates boardroom style or 10 theatre style. 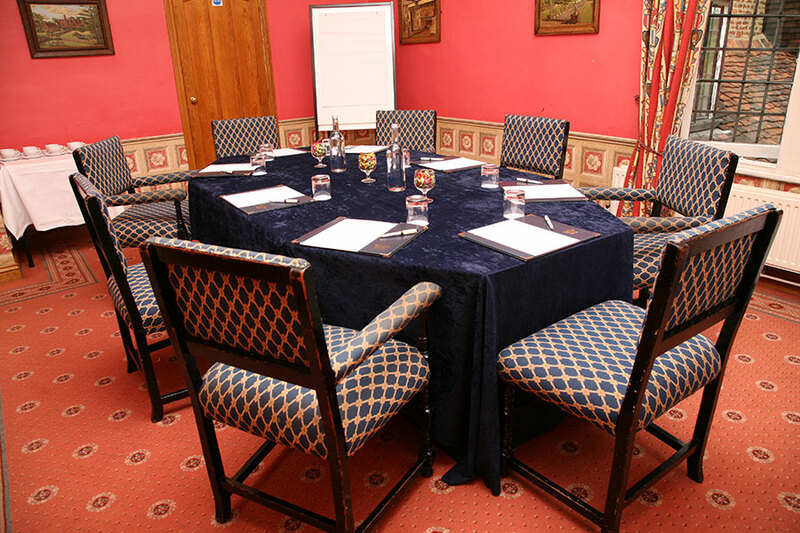 Originally the billiard room of the old house, The Samuel Pepys Room has a very high ceiling with large picture windows, offering good natural light, with a maximum capacity of 40 delegates theatre style, 22 Boardroom Style or 24 in a "U" shape. The Henry VIII Suite is an original Tudor ground floor room with oak beams, Inglenook fireplaces and plenty of character, complete with its own reception area, private bar and en suite cloakroom, with a maximum capacity of 35 delegates theatre style, 18 Boardroom Style or 24 in a "U" shape. 4 small bedroom Syndicates are also available to hire. Perfect for more intimate meetings of up to 5 delegates.